The Guardian today published a piece asking “What would a city that is safe for women look like?” Using examples from Delhi, Barcelona, Nairobi, Cairo, and Kigali, the author outlines “…a number of measures [that] can be taken to make streets feel safer and to keep women more secure when moving around the city.” It should go without saying that the issue couldn’t be more timely. And while “…women are being consulted in planning new urban developments” (emphasis added), research by geographers shows that this is too seldom the case (see here, here and here). Forthcoming in our March 2019 issue, and available online now, Sophie Cranston and Jenny Lloyd’s “Bursting the Bubble: Spatialising Safety for Privileged Migrant Women in Singapore” should prove invaluable to those thinking through these issues in radical ways. Their paper is a constructive engagement with work attentive to, and critical of, how safety is lived and narrated. In contrast to previous geographical work on safety that focuses on fear, “Bursting the Bubble” looks at safety as something more than an aspiration for women. To do so, Sophie and Jenny utilise the metaphor of the “expatriate bubble” to explore how safety is constructed and experienced by privileged migrants within Singapore. Mobilising research from two projects, they argue that we need to think about how gender and Othering intersect to construct safety. In doing so, they offer thoughts on how we might use conceptualisations of privileged migrants to research how safety can be understood, and therefore practised, more widely. Sophie Cranston is a Lecturer in Human Geography at Loughborough University. Her research focuses on the global mobility industry, mobilities as a field for understanding the different ways in which “expatriate” comes to be understood, and mobility and young people’s identities (looking at high school-aged children and university students). 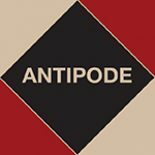 A well as Antipode it has appeared in the Journal of Ethnic and Migration Studies, Environment and Planning D and A, and Geoforum, among other places. Jenny Lloyd is a Research Fellow at the University of Bedfordshire’s International Centre for Researching Child Sexual Exploitation, Violence and Trafficking, where she works in the area of peer-on-peer abuse in adolescence (working with schools to identify enablers of, and barriers to addressing, harmful sexual behaviour). Her PhD, completed in 2015 at Newcastle University, focused on the experiences of migrant women in Singapore, developing a wider interest in women’s rights and social justice. This entry was posted on 13 December 2018 by Antipode Editorial Office in Video Abstracts and tagged #MeToo, body size, British migrants, crime, exclusion, expatriates, fear, gender, gendered space, law enforcement, marginality, migration, othering, privilege, privileged women, safe space, safety, Singapore, the body, the city, the right to the city, urban planning, violence, vulnerability, white privilege.